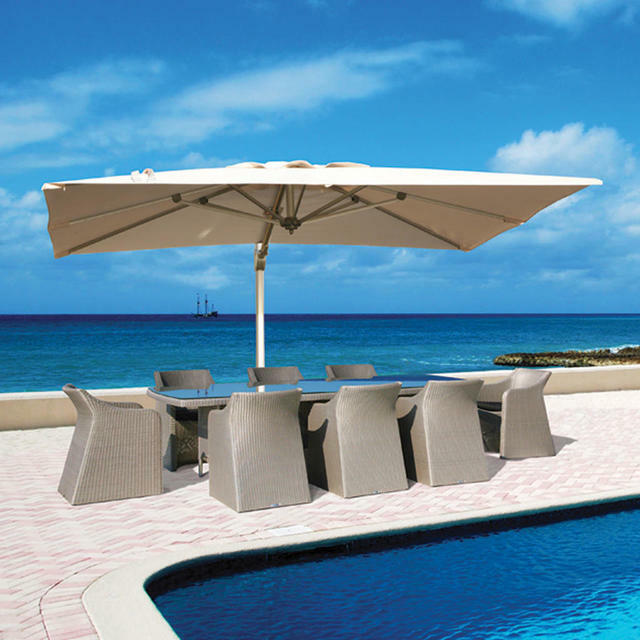 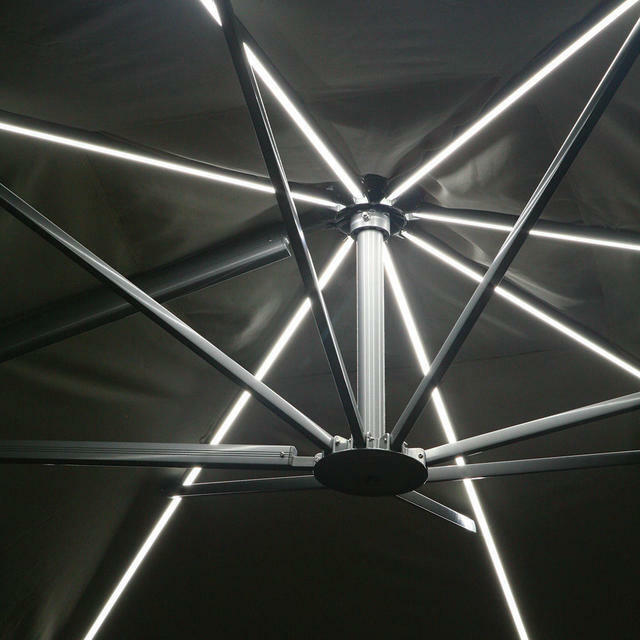 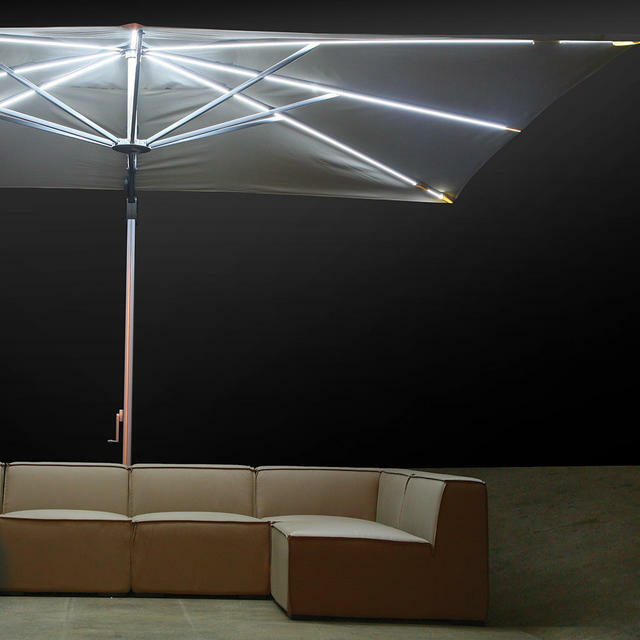 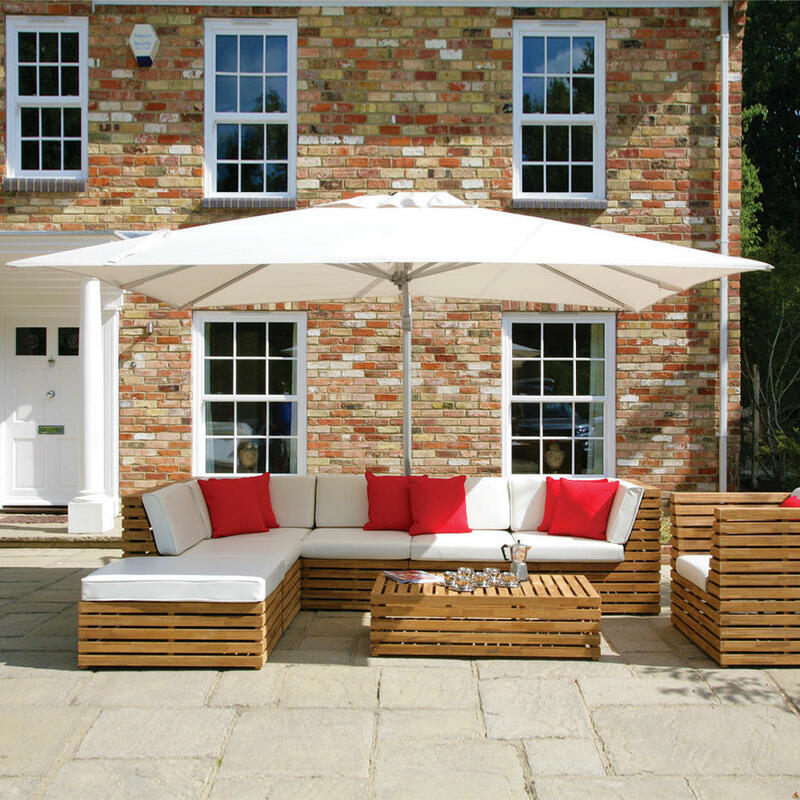 Sunrise Cantilever parasols are a large sturdy, easy to use parasol complete with LED lights within the frame controlled remotely. The parasol can be rotated through 360 degrees by operation of a foot pedal. 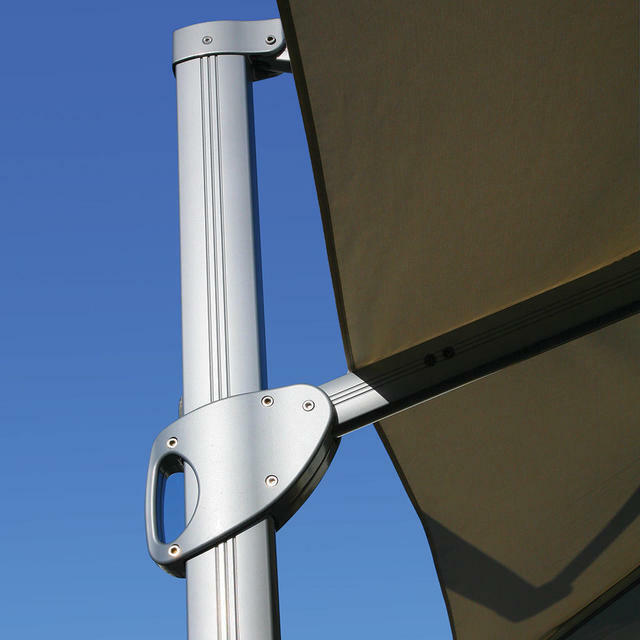 A crank handle is used to open and close the parasol. 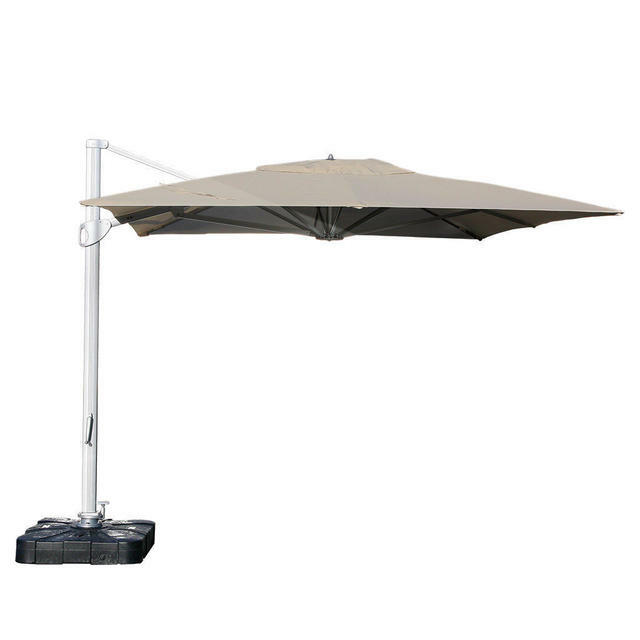 Bases for the Sunrise Parasols are included with the parasol, there is a choice of two styles, inground or freestanding base stand included as shown in the picture, we would recommended the in ground base. 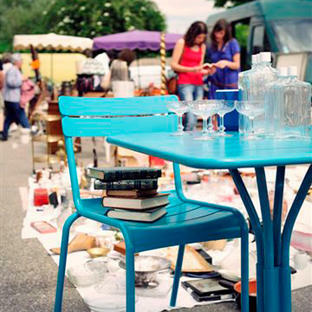 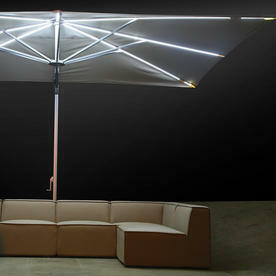 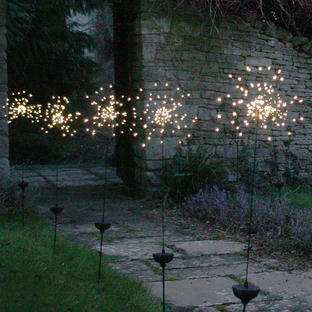 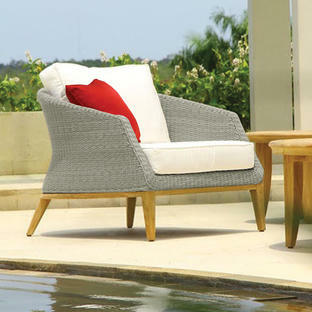 The canopy is made from 100% solution dyed Spuncrylic polyester, which has a high stain, water and UV resistance. The canopies can be removed for cleaning if required. 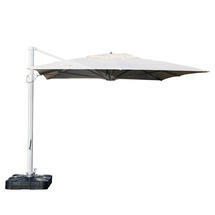 We would advise a cover is used when the parasol is not in use to keep it clean during the winter months.